Arabic is the mother tongue for many in Hasankeyf, and this week it became the town's lingua franca, as residents and their guests from Iraq, Syria and Egypt quizzed one another about their local dialects. The Iraqi visitors, Marsh Arabs, were in town with representatives from Nature Iraq, Doğa Derneği and ECA Watch to raise awareness about the severe impact the Ilısu Dam project will have on their homeland – the wetlands of southern Iraq – where they make their living by fishing, hunting and raising water buffalo. 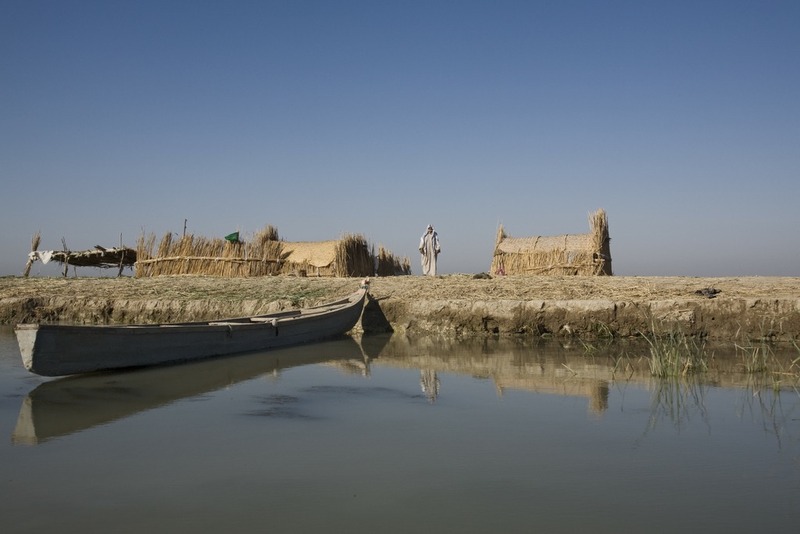 If the construction of Ilısu is completed as planned, it will disrupt the spring floods, required to sustain life in the plains near Basra. 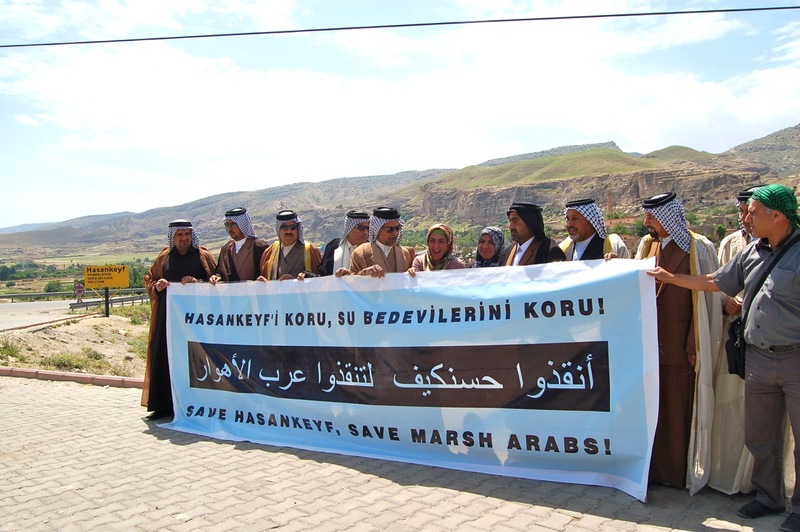 Sheik Sayed Abbas, one of the Marsh Arabs attending a press conference in Hasankeyf, suggested a compromise solution, saying, “If we reduced the height of the dam from 130 meters to 65 meters, this would not flood Hasankeyf and our marshes would not dry out.” Is 65 meters too much to ask for the cradle of civilization? 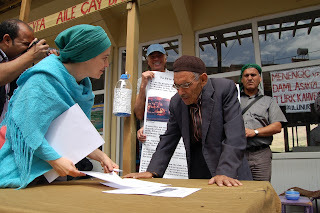 In addition to meeting with the mayor of Hasankeyf, the Iraqi delegation also joined the town's residents in signing the Ilısu-UNESCO petition calling for the protection of natural and historical world heritage in Hasankeyf and the Marshlands of Lower Mesopotamia. On related note, Jan van Herwijnen (from the Suleymaniyah office of Nature Iraq) and Cengiz Yargic (now based in Hasankeyf on behalf of Pedallıyorum) brainstormed ideas for bringing different cultures together along the banks of the Tigris. In addition to cultural “in-gatherings” (such as this weekend’s Hasankeyf’te Buluşalım activities) and the efforts of Pedallıyorum to promote inter-city biking in Southeastern Anatolia, they agreed to organize a bicycle tour between Hasankeyf and Suleymaniya. Wow! It's really impressive and encouraging to see how many people are working so hard to save Hasankeyf as well as the natural wealth downriver in Iraq. We are so pulling for your efforts and for those visitors from Iraq, Syria and Egypt. Congratulations for everyone who made the press conference possible. Thank you, Senior Dogs! We really appreciate the encouragement. What with Dr. Adnan Çevik's new monograph on HK and ongoing cooperation among Doğa Derneği, Nature Iraq, ECA Watch, etc., why not renewed popular advocacy for Hasankeyf? How long can these traditions last? 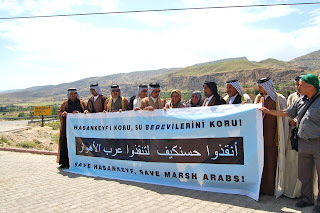 A glimpse of Hasankeyf’s future?